You are here Programmes > The Doctoral Programme > Why Trinity for Your Doctoral Degree? Why Trinity for Your Doctoral Research? 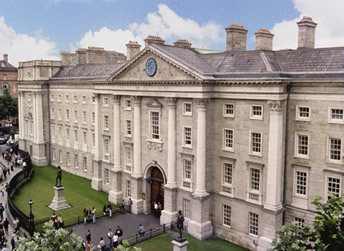 Trinity College is one of the oldest and best-known universities in Europe. As the oldest university in Ireland, dating from 1592, Trinity has upheld a reputation of tradition and quality in education. Trinity’s excellence in research focus attracts students, scientists and artists from all over the world. Trinity Business School’s doctoral programme focuses on educating and training outstanding postgraduate students for careers in professional business research and for academic employment in international business schools. It has achieved Eduniversal’s top level – 5 Palmes of Excellence. Our programme attracts students with diverse backgrounds from around the world, including some who have completed a Master's degree in business or management, those who have gained practical experience at a managerial level following their undergraduate degrees, and those who work as researchers and lecturers in a university setting. We lead tradition of initiating doctoral students in the academic world through conferences, publication and involvement in other forums. We will provide you with teaching, supervision and exceptional resources to support your doctoral studies. Working closely with your academic supervisor you will focus on a specific research project to produce a thesis that represents a significant contribution to knowledge. Click here to see some of our recent PhD students’ research interests and publications and papers. 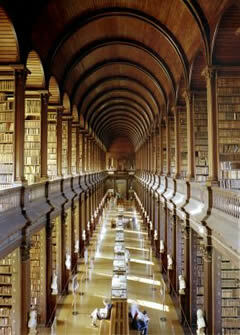 Trinity College Dublin is Ireland’s premier university. The QS World University Ranking 2018 rank Trinity College 1st in Ireland and among the top global universities. Dublin is a city with a one thousand year history, steeped in heritage and with a genuine spirit of friendliness. In the QS ranking for Best Student Cities. Small enough to walk around, yet the European headquarters of companies such as Google, eBay, Microsoft, PayPal, LinkedIn and Facebook, Dublin is an ideal place to study and connect in. It is home to the International Financial Services Centre (IFSC) one of the world's leading financial services centres. Our campus exists right in the heart of this and you can take full advantage of the opportunities that this closeness affords through access to industry speakers and networking events. Our philosophy and structure means that you will be part of a small incoming class but you will also be part of a broader cohort of students who stimulate and support their fellow students. Building on Trinity’s 400 year tradition of personalized, tutorial style learning, we get to know each of you intimately and help inform your academic and personal development and confidence throughout the programme. You will gain from a close, one-to-one relationship with our faculty, the opportunity to identify and resolve the individual challenges you face and a chance to discover the natural talents you possess. Located at the centre of the city of Dublin our university blends its historic traditions and buildings with the award-winning methods and facilities of a modern institution. Trinity’s Library is the largest in Ireland and as a Legal Deposit library receives copies of all material published in the United Kingdom and Ireland. It is a research library of international repute and in addition to its extensive collection includes over 6 million printed volumes, provides access to an extensive range of academic databases and other services, pioneering modern methods of resource discovery. For more information please visit www.tcd.ie or come and see us for yourself. Trinity Business School > Programmes > The Doctoral Programme > Why Trinity for Your Doctoral Degree?